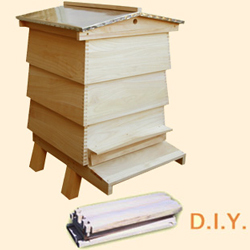 WBC Bee Hive for DIY. The roof, crownboard and floor are assembled. 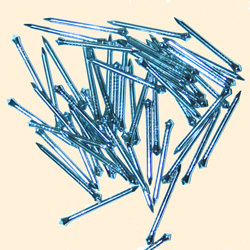 Other components require DIY assembly with glue, nails or pins. 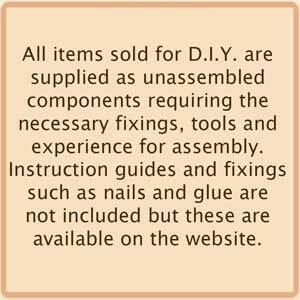 Instructions and fixings are not included. 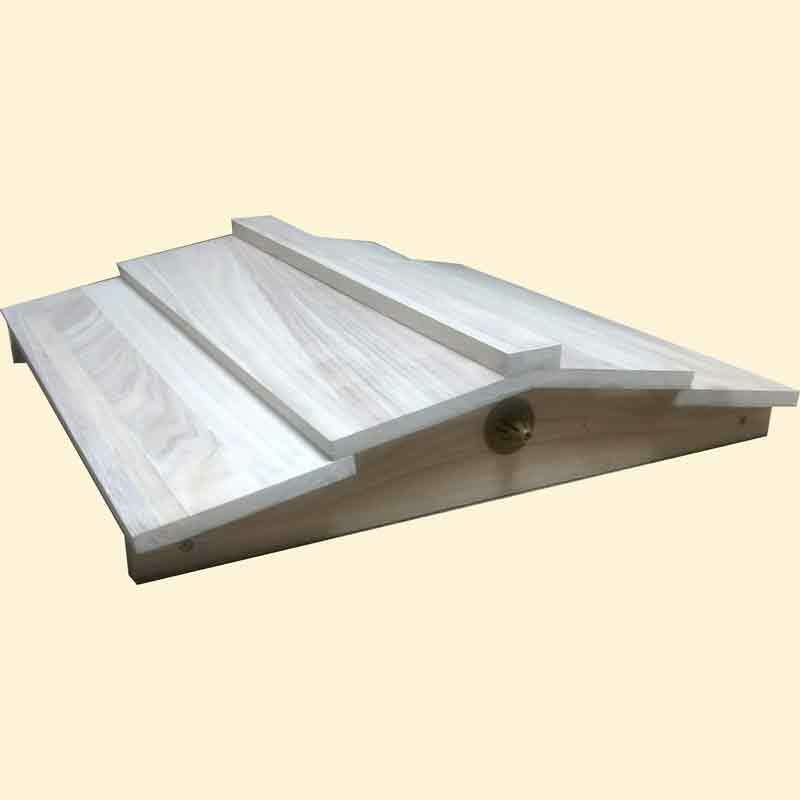 Roof, clad with 2 vents - choose style. 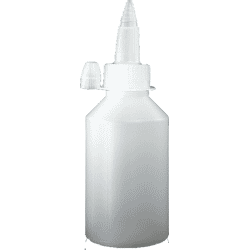 This is assembled, no DIY needed. 3 Lifts including Entrance Porch. 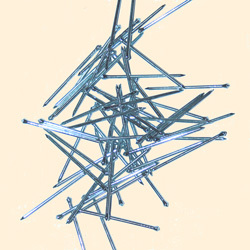 These require DIY assembly. Crownboard with feeding and clearing holes. 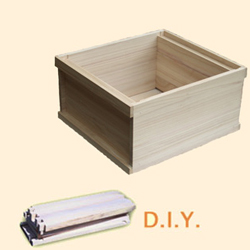 This is assembled, no DIY needed. 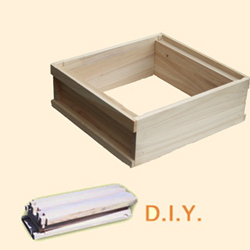 Standard Deep Brood Box requires DIY assembly. 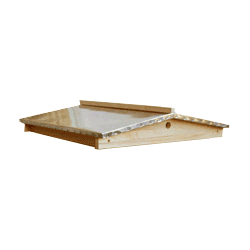 Hive Stand with Landing Board, Legs and incorporating a Varroa Mesh Floor including sliding inspection tray. This is assembled except screw on legs, screws included. 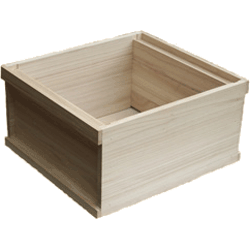 The Standard Deep Brood Box can be upgraded to an Extra Deep Jumbo 14x12 Box if required.